Balaenopteroids (Balaenopteridae + Eschrichtiidae) are a diverse lineage of living mysticetes, with seven to ten species divided between three genera (Megaptera, Balaenoptera and Eschrichtius). Extant members of the Balaenopteridae (Balaenoptera and Megaptera) are characterized by their engulfment feeding behavior, which is associated with a number of unique cranial, mandibular, and soft anatomical characters. The Eschrichtiidae employ suction feeding, which is associated with arched rostra and short, coarse baleen. The recognition of these and other characters in fossil balaenopteroids, when viewed in a phylogenetic framework, provides a means for assessing the evolutionary history of this clade, including its origin and diversification. The earliest fossil balaenopterids include incomplete crania from the early late Miocene (7–10 Ma) of the North Pacific Ocean Basin. Our preliminary phylogenetic results indicate that the basal taxon, “Megaptera” miocaena should be reassigned to a new genus based on its possession of primitive and derived characters. The late late Miocene (5–7 Ma) balaenopterid record, except for Parabalaenoptera baulinensis and Balaenoptera siberi, is largely undescribed and consists of fossil specimens from the North and South Pacific and North Atlantic Ocean basins. The Pliocene record (2–5 Ma) is very diverse and consists of numerous named, but problematic, taxa from Italy and Belgium, as well as unnamed taxa from the North and South Pacific and eastern North Atlantic Ocean basins. For the most part Pliocene balaenopteroids represent extinct species and genera and reveal a greater degree of morphological diversity than at present. The Pleistocene record is very limited and, unfortunately, fails to document the evolutionary details leading to modern balaenopteroid species diversity. It is evident, however, that most extant species evolved during the Pleistocene. Morphological and molecular based phylogenies support two competing hypotheses concerning relationships within the Balaenopteroidea: (1) balaenopterids and eschrichtiids as sister taxa, and (2) eschrichtiids nested within a paraphyletic Balaenopteridae. 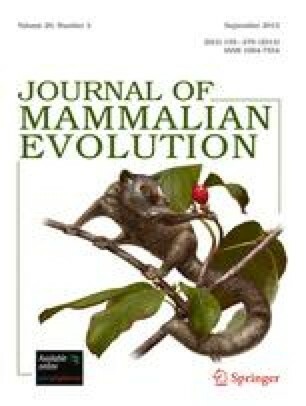 The addition of fossil taxa (including a new Pliocene species preserving a mosaic of balaenopterid and eschrichtiid characters) in morphological and “total evidence” analyses, offers the potential to resolve the current controversy concerning the possible paraphyly of Balaenopteridae.